Caught this from Groveperson at the Dayton Bookcrossing Meeting on 10/9. I look forward to reading it. La Cucina combines the sensuous pleasures of love and food, simmering in the heat of a Sicilian kitchen. Rosa Fiore is a solitary middle-aged librarian who has resigned herself to a loveless life, and expresses her passionate nature through her delicious cooking. Then, one day, she meets an enigmatic chef, known only as l'Inglese, whose research on the heritage of Sicilian cuisine leads him into Rosa's library and into her heart. They share one sublime summer of discovery, during which l'Inglese awakens the power of Rosa's sexuality, and together they reach new heights of culinary passion. 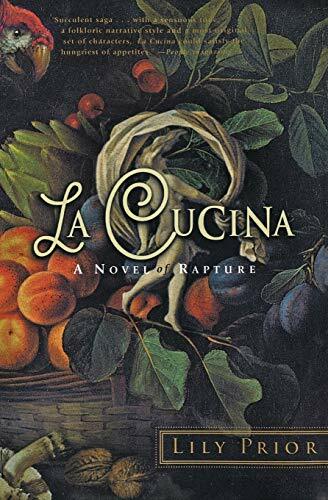 When he vanishes unexpectedly, Rosa returns to her family's estate to grieve for her lost love only to find a new fulfillment as well as many surprises in the magic of her beloved Cucina. A love song to Italy, La Cucina is a celebration of all things sensual. It spills over with intense images, colors, fragrances, and exuberant characters, all reflecting the splendor of the Sicilian countryside in which it is set. A new author, but the cover looks amazing as the story does, thanks Noumena for this surprise and well-thought RABCK!